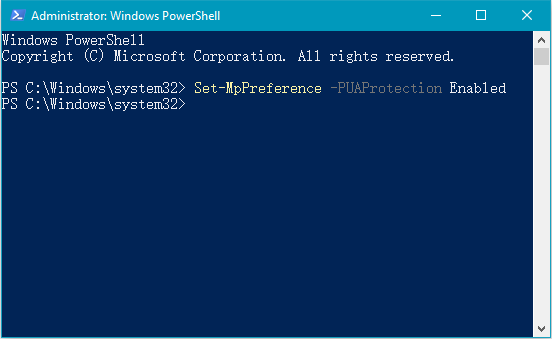 For improving Windows 10 enterprise security, Microsoft turned on PUA/PUP protection of Windows Defender by default. But, it has been turned off by default in Windows 10 Home and Windows 10 Pro. How to turn on Windows Defender PUA/PUP protection in Windows 10 Home and Windows 10 Pro? 5, Restart system, the PUA detection has been enabled. Before start to edit Windows registry, please make a full registry backup. You can refer this page to learn How to back up full Windows registry. 7, Restart system, then the PUA protection has been enabled.